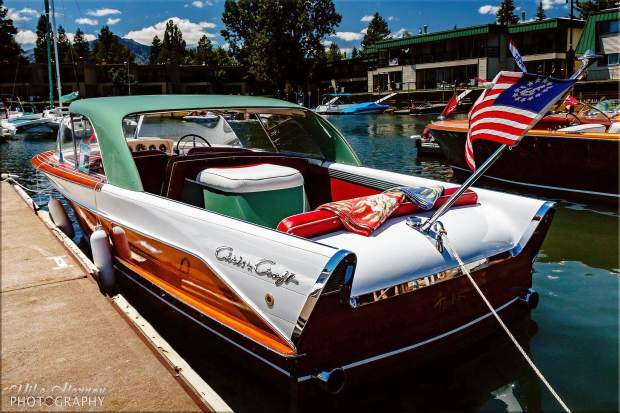 According to South Tahoe Wooden Boat Classic show co-chair Lew Dobbins, 85 boats will be displayed in this year's event. Previous years averaged roughly 65 boats. 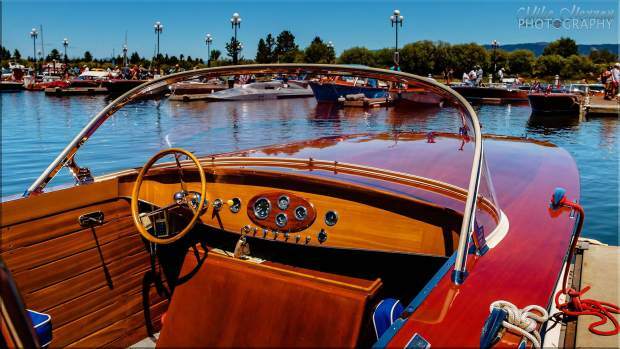 The South Tahoe Wooden Boat Classic begins Friday, July 29, at noon. It continues Saturday, July 30, from 9 a.m. to 5 p.m. The Northern California/Lake Tahoe Chapter of the Antique and Classic Boat Society hosts the ninth annual South Tahoe Wooden Boat Classic at the Tahoe Keys Marina July 29-30. This year's Wooden Boat Classic theme is "Ladies and Gentlemen, You Have a Race!" While racing boats are the highlight of the show, vessels of all types can be seen at the marina this weekend. A boat entered in a previous Wooden Boat Classic is tied at the dock. 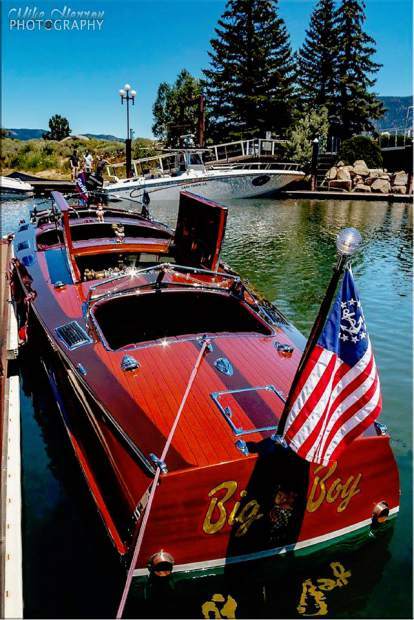 South Tahoe Wooden Boat Classic returns to Tahoe Keys Marina on Friday, July 29, and Saturday, July 30. SOUTH LAKE TAHOE, Calif. — After nine years of bringing boat enthusiasts to the South Shore, all while generating money for local nonprofits, the South Tahoe Wooden Boat Classic is in jeopardy of folding due to an inability to reach reasonable terms with the Tahoe Keys Marina & Yacht Club. 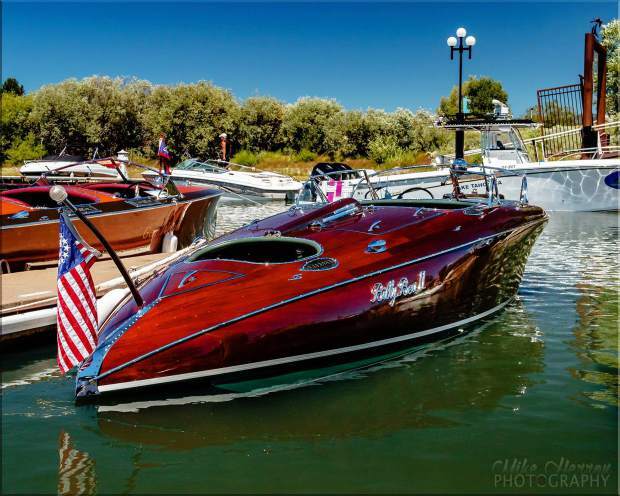 Event organizers with the Northern California / Lake Tahoe chapter of the Antique and Classic Boat Society announced on March 13 that they were canceling the event for 2017. That and a lack of other options could ultimately mean the end of the event, which brought several thousand people to the marina in 2016. “To say we are disappointed would be an understatement,” Jared Hein, co-chair of the event, said in the press release. Organizers were not the only people disappointed. 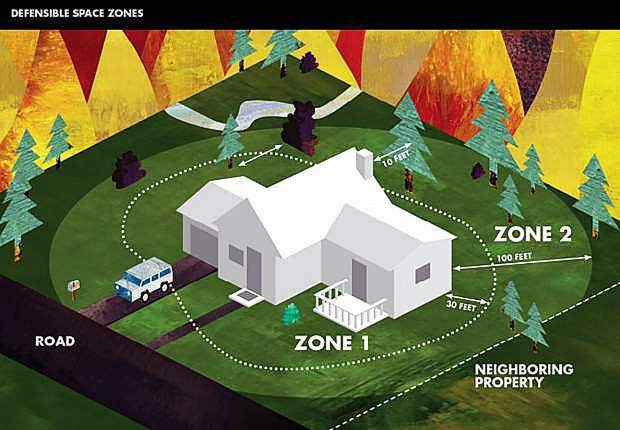 Earlier this week, South Lake Tahoe City Councilman Tom Davis decided to get involved. Davis, a boat enthusiast who said he has no financial ties or connection to the marina or the boat group, was dismayed to hear the event was being shelved this year. 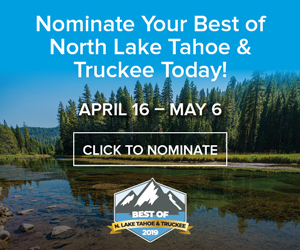 He reached out to people with the marina and people with the boat society to see if the two could reach some agreement and continue an event that is “good” for South Lake Tahoe and an event that continues to grow each year. “I’m just a community person saying ‘hey, can we save this? 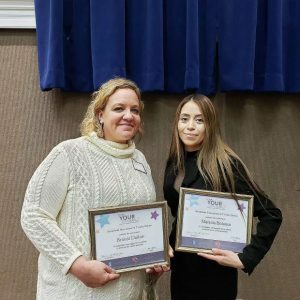 This is a good event for our community, can we make it work?’” Davis told the Tahoe Daily Tribune. It’s unclear if he will have any success. There have been hurdles since the event was created around 10 years ago, but organizers and the marina were always able to work those out, Steve Caplan, another co-chair of the event, told the Tribune. However, that all unraveled this winter with the marina setting terms that Caplan said were unrealistic and seemed to be designed with the goal of booting the boat show. “We figured out how we could make the show work and do that,” Caplan said. 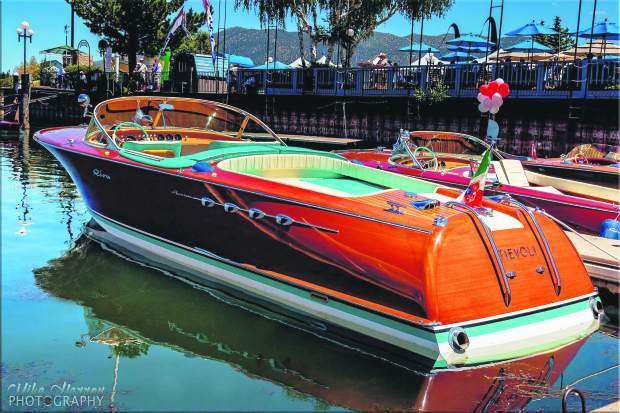 The timing and location of the South Tahoe Wooden Boat Classic worked perfectly, largely because it avoided conflicting with the Concours d’Elegance on the West Shore. There just aren’t many places around the lake, particularly on the South Shore, that could host such an event. “It’s a difficult thing, finding a location, and it just doesn’t really exist,” Caplan said. Although he’s uncertain if playing the role of mediator will lead to a positive outcome, Davis said he hopes the event survives.